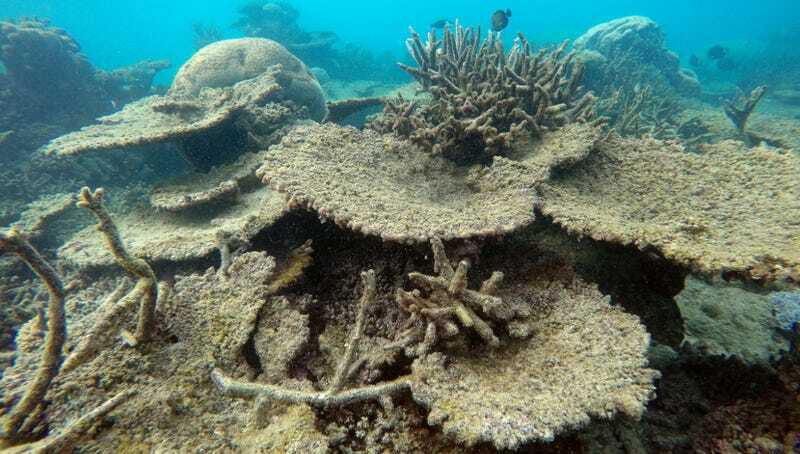 Abnormally high water temperatures caused by you-know-what are being blamed for the worst coral die-off ever recorded along Australia’s Great Barrier Reef. Earlier this year, scientists at the ARC Centre of Excellence For Coral Reef Studies warned that the Reef is in big trouble, with about 35 percent of the coral in its northern and central areas either dead or dying. An updated survey conducted over the past two months, including investigations done from the air and underwater, shows that things have gotten considerably worse. In the northern regions, a 430 mile (700 km) stretch of reef lost an average of 67 percent of its shallow-water corals in the past nine months. In an area around Lizard Island in Far North Queensland, around 90 percent of the coral had died. The scientists said the impact was far worse than anticipated following the surveys done back in April of this year. These die-offs, called coral bleaching, happen when high water temperatures persist for an extended period of time, causing corals to expel their zooxanthella, a colorful algae that lives in their tissue. During the first five months of 2016, sea surface temperatures across the Great Barrier Reef were the hottest on record—a full one degree Celsius higher than the monthly average. The resulting heat stress did a lot of damage, but the loss of photosynthesizing zooxanthella triggered the lion’s share of the die-offs, by causing corals to starve. “Most of the losses in 2016 have occurred in the northern, most-pristine part of the Great Barrier Reef,” noted ARC Centre scientist Terry Hughes in a statement. “This region escaped with minor damage in two earlier bleaching events in 1998 and 2002, but this time around it has been badly affected.” Hughes says the increase in water temperature is being caused by carbon emissions, and warns that massive coral bleaching events could become an annual occurrence within two decades. The good news, says Hughes, is that the southern two-thirds of the Reef escaped with minor damage. Regions to the south appeared much healthier, experiencing losses between one and six percent. “The corals have now regained their vibrant colour, and these reefs are in good condition,” said Andrew Baird, an ARC Centre diver who visited the reefs in October and November. Coral bleaching, in addition to triggering tremendous losses of marine life, affects tourism along the Reef—an industry that brings in $5 billion annually and employs around 70,000 people. 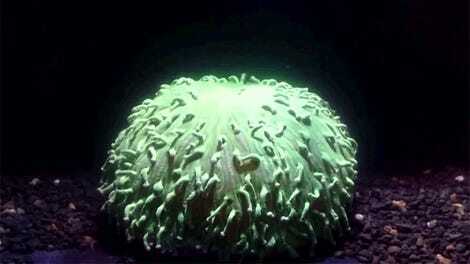 Reefs can recover from bleaching events, but it takes time for the algae to return. Should nothing be done to curb greenhouse gas emissions, and if Hughes is right about bleaching events happening each year, the Great Barrier Reef will never recover, putting an end to one of the most majestic biological structures on the planet.